Heidi Reads...: GIVEAWAY: One Year Subscription to Audiobooks.com! 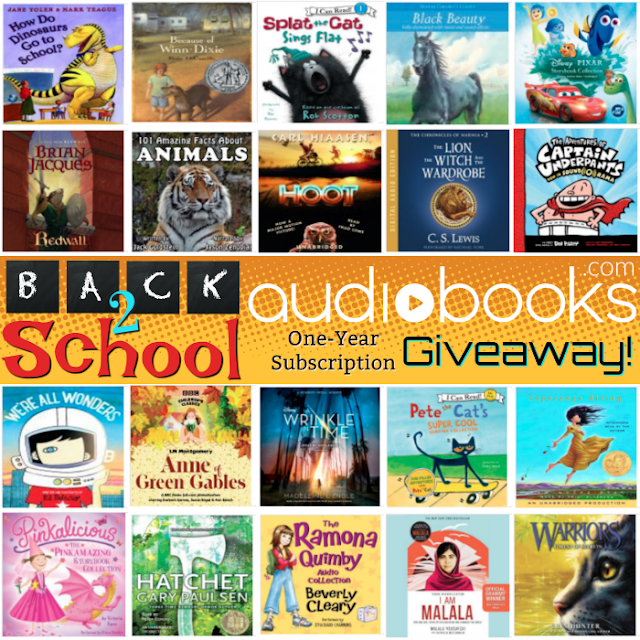 GIVEAWAY: One Year Subscription to Audiobooks.com! Are you a fan of audiobooks? My girls love them, and I use the opportunity to introduce them to books they might not pick up otherwise. Check out this great giveaway from Audiobooks.com! Every parent knows that kids’ brains are like sponges, soaking up drops of information and words (even the four-letter ones we don’t always want them to). But did you know that 85 percent of what we learn, we learn by listening? According to the Audio Publishers Association, listening increases reading accuracy by 52 percent, and combining print and audio increases memory 40 percent over print alone.